We have all either had, or have heard, about that overbearing coach that yells at their students when they make mistakes. Maybe they used negative reinforcement throughout their instruction. Some people might defend the coach by praising their knowledge and expertise. 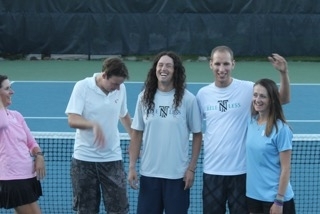 However, teaching tennis technique, and proper form, is actually the easiest part of being a tennis coach. Think about your favorite mentors or coaches. What made him or her special? How did they connect with you? How did they make you feel? Perhaps it was their willingness to go out of their way to help you? Great tennis coaches support their students and act as their guide. They instill confidence in their students and assist them to self-discover how great and capable they are. Here are some key aspects of a great tennis coach. Coaches create the environment for the students, and it should be both positive and safe. When providing instruction focus on what will help the student the most, and explain the benefits behind the change. For example, “Next time you hit your overhead, remember to make contact out in front of your head, so that you have a better chance of making it into the court.” When working with kids, or tennis players, that are critical of their abilities, provide positive reinforcement for effort, not results. Teaching tennis can take a lot of patience, but positivity is essential. Great tennis coaches focus on their students. Each lesson is a finite amount of time, and it’s an opportunity to make each student shine and progress toward their goals. On court conversations are best when they are about the student’s goals, or are initiated by the student. Being able to captivate an audience, and keep them engaged, for an extended period of time takes practice and creativity. 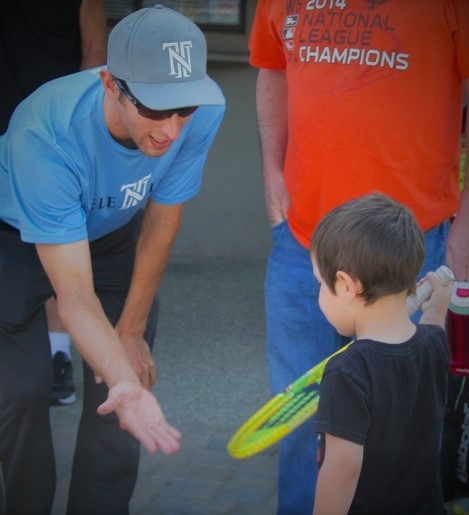 Most tennis coaches do not have the luxury of hand picking their students, and often start out by working with younger, beginning tennis players. Engaging students is the responsibility of the tennis coach, and there is no one formula for success. What works best for a student takes creativity and innovation. Tennis coaches should appear outwardly professional, a walking billboard of anticipated results. Great coaches have genuine conversations with their clients, to establish what it will take to reach their goals. Clients are paying money, to essentially make them better versions of themselves. Great coaches realize success is a moving target and in order to stay relevant they must be committed to life-long learning. Tennis professionals should, at a minimum, be certified. Certification establishes foundational education, credibility, and on court insurance. Insurance is important for independent clubs or smaller tennis operations. A client injury can capsize a business if not insured properly. A key recommendation for tennis coaches that are looking to improve, is to find mentors that can act as a guides. The hardest part to teaching tennis technique is knowing what to look for. People that have been teaching tennis for an extended period of time can help others see cues, and clues, to a player’s betterment. Just as a doctor looks at symptoms to determine the cause before making recommendations, coaches should do the same. Coaches provide support and guidance on, and off, the court. The lesson doesn’t end after the hour is completed… Following up and having a genuine interest in the student is what makes a great tennis coach. Be patient, continue learning, and enjoy the journey. If you enjoyed this article please leave a comment or connect with us on social media. 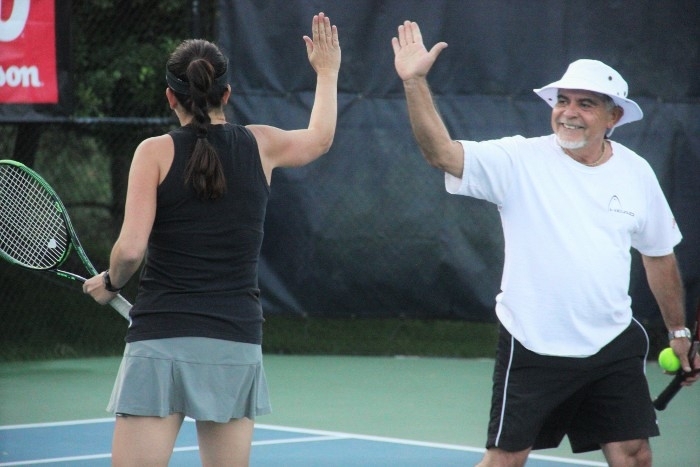 Our tennis professionals live and breathe tennis, and would love for you to come by the club and take a lesson while you are there.